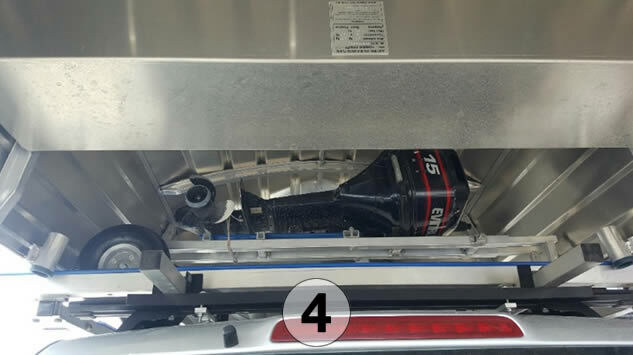 Are you looking for a place to carry your outboard motor when towing a caravan? What about on the vehicle roof under your car-topper tinnie. 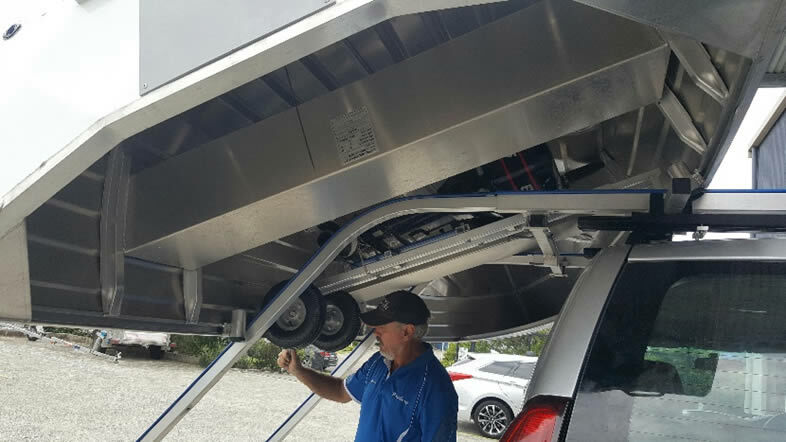 The BoatHoist SideWinder boat loader system is now rated to load 130kg! 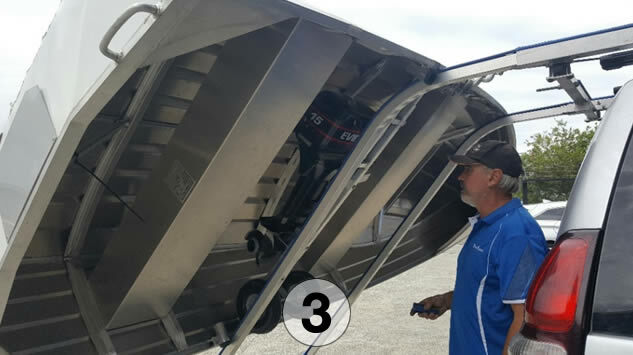 Sit your outboard motor onto the RT Trolley, clamp into the boat gunnel and winch onto the roof. 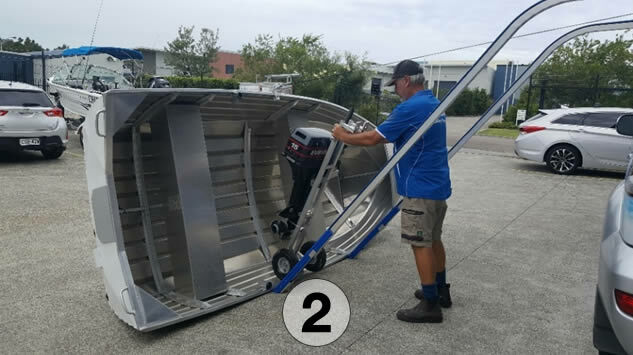 All you need is 3 roof racks rated to 150 kg plus our side boat loader. 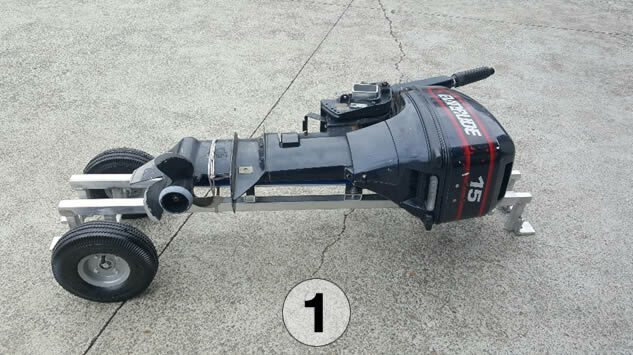 Just wheel the trolley to the boat, lock in place and push the remote control. Easy!